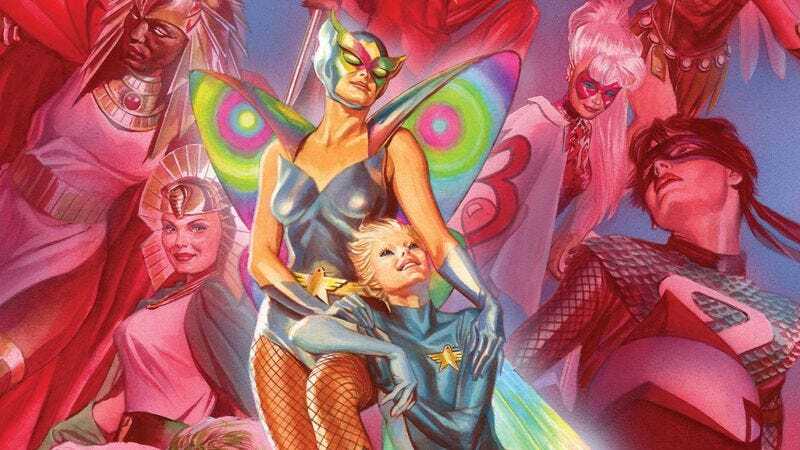 There have been well over 50 issues of Kurt Busiek’s creator-owned superhero series Astro City, but the comic has never actually hit the issue #25 milestone because it keeps getting relaunched with new volumes. That finally changes this week with the release of Astro City #25, an issue that arrives 20 years after Busiek first debuted the series with artist Brent Anderson at Image Comics. The title has switched publishers and incorporated more artists since then, but it stands as the most consistently strong superhero of the last two decades thanks to Busiek’s imaginative and emotional storytelling, making Astro City the kind of fictional superhero town that Gotham and Metropolis wish they could be. This week’s Astro City #25 features the return of Jesus Merino on art duties, and he’s been a more than capable fill-in for Anderson, realizing this world and its characters in the nuanced detail that makes the book so captivating. In just the six pages of this preview, Busiek, Merino, and colorist Wendy Broome evoke a sense of wonder that is missing from a lot of other superhero comics. They do it by introducing a new young female hero, something else other superhero comics could desperately use. Busiek is very aware of voids that need to be filled in mainstream superhero stories, and he’s used Astro City to fill them with stories that are heartfelt, inspiring, and just the right amount of weird. Here’s to 25 more issues.